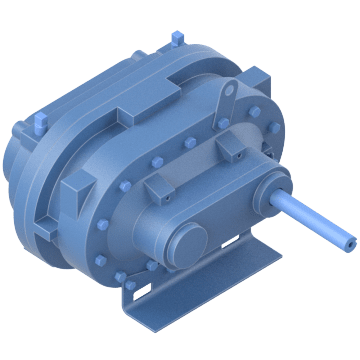 Handle continuous loads by using positive displacement blowers, also known as rotary lobe blowers, in your air compression system. 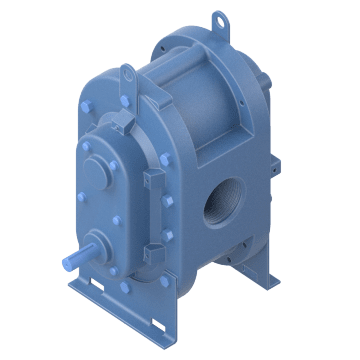 By trapping inlet air and discharging it into a pipe or hose, these blowers can be used in pneumatic conveying, wastewater treatment, and surface cleaning applications. They work for pressure and vacuum applications. 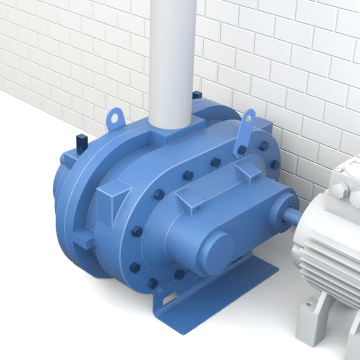 With one impeller mounted above the other, these vertical configuration blowers have inlet and discharge flanges positioned to provide horizontal airflow. They have a high-strength drive shaft for durability and heat-dissipating fins on the cylinder that reduce noise and vibration. Use them as drop-in replacements for compatible roots-type blowers and vacuum pumps. The side-by-side impeller design of these horizontal configuration blowers positions the inlet and discharge connection flanges to provide vertical airflow. They have a high-strength drive shaft for durability and heat-dissipating fins on the cylinder that reduce noise and vibration. Use them as drop-in replacements for compatible roots-type blowers and vacuum pumps. 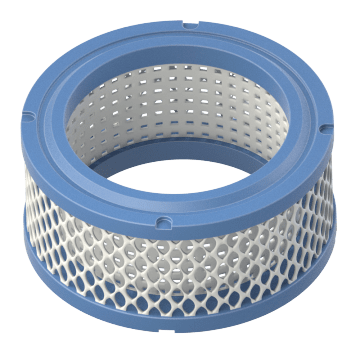 Washable and more durable than paper filters, these polyester filter elements are reusable and can withstand moisture, hot air, and oil mist. They also typically hold more dirt than paper filters, though they are less efficient at removing smaller particles. 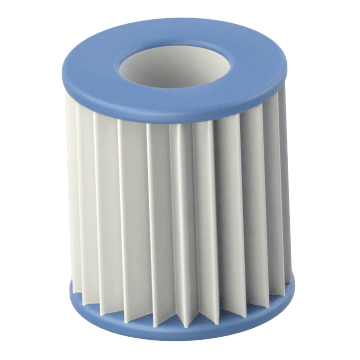 Providing high removal efficiency and good economy, these paper filter elements trap small particles and work well in dry air applications.